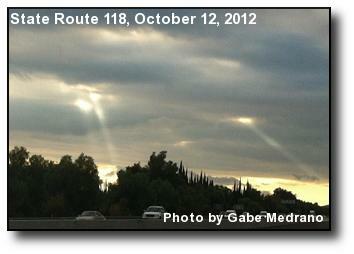 Pockets of Sun: Sunlight peaking through holes in the clouds following a Simi Valley thunderstorm. Photo courtesy of Gabe Medrano. 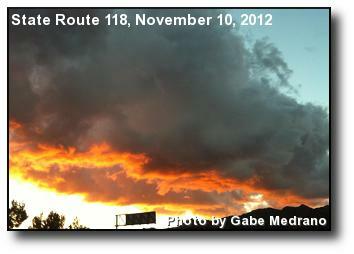 Cloudy Sunset: Light fades after this summer sunset. Photo courtesy of Orv Beach. 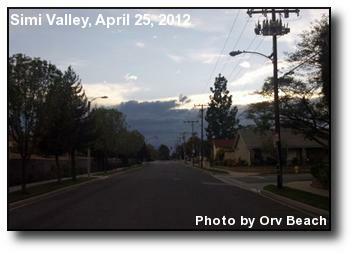 Storm Approaching: From due west, clouds from a storm storm begin to approach. Photo courtesy of Orv Beach. 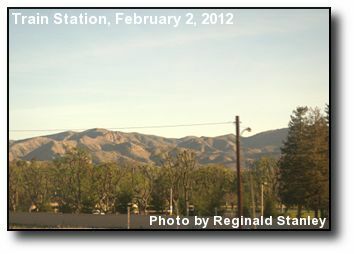 Santa Susanas: Not much winter green on the Santa Susana mountains, as seen from Simi Valley. Photo courtesy of Reginald Stanley. 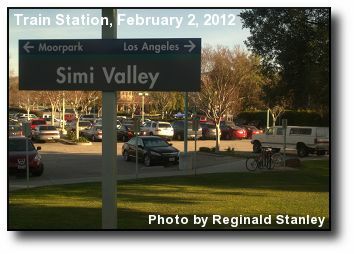 Station Sign: The sign at Simi Valley's train station also indicates points west and east. Photo courtesy of Reginald Stanley. 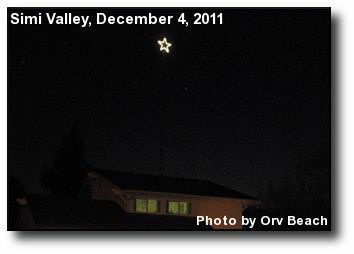 Christmas Star: A lighted Christmas Star, 70' up Orv's ham radio tower in Simi Valley. Photo courtesy of Orv Beach. 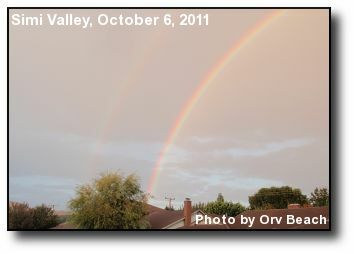 Double Rainbow: A break in a recent storm adds some color over Simi Valley. 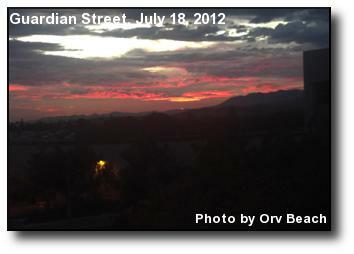 Photo courtesy of Orv Beach. 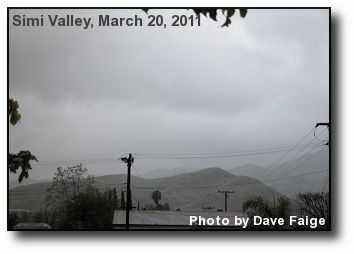 Stormy Skies: Grey skies mark the intrusion of another storm into the valley area. Photo courtesy of Dave Faige. 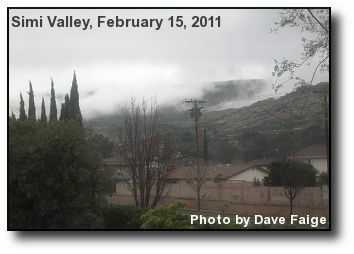 Cloudy Peak: Low clouds cling to Rocky Peak, above the valley. Photo courtesy of Dave Faige.